SOLD $999,900 2-Storey Duplex For Sale In The Beaches! "Perfect Opportunity To Renovate! Fabulous Neighbourhood!" Estate Sale - Duplex Circa 1888! Big Principal Rooms With High Ceilings! 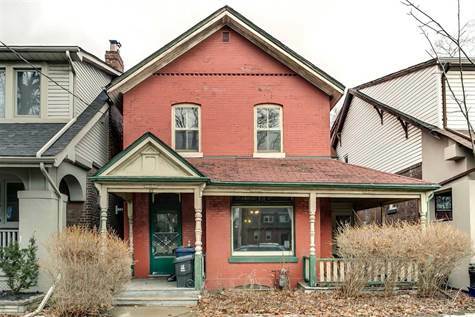 Opportunity To Renovate To Suit On A Great Street Near Ttc, Beaches, Danforth And Great Homes! Sold "As Is", 2 Separate Basements & Parking For 1 Car At Rear! Great Character Elements, Huge Country Kitchen, Side Sun Porch (Not Heated) Plus Side/Front Porch! Stained Glass Features! Approx. 3,000 Sq ft Above Grade. A Project For Old Home Lovers! !